When you’re looking to sell your fine violin (or a viola or cello), consignment to a notable violin shop may be the most lucrative option. Although auctions and eBay might seem like a good idea, seekers of fine instruments rarely do their looking online. An eBay sale does now allow the buyer to try the violin before purchasing it. At auctions, violins are sold at a wholesale price. They rarely, unless they are great instruments, fetch the same as a retail price. Violin shops, with their large client base and trusted expertise, have the selling power in the local instrument market. 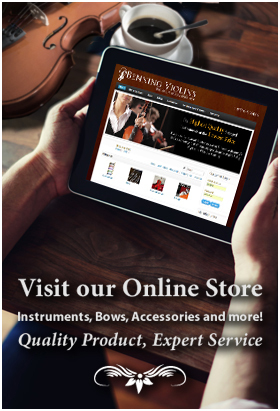 Some violinmakers have websites that feature online catalogs which are closely monitored by players all over the world seeking fine instruments. Those in the market for fine violins will likely be willing to pay much more for an instrument that has been looked over, repaired and certified by an experienced professional violinmaker. While it can take months or more to successfully make a sale, consignment of fine violins and fine violin bows to a violin shop is certainly worth the wait. Before the instrument can be placed on consignment, it must be examined for any restorations and repairs. The seller will have to pay for the repairs, but it can potentially raise the instrument’s price substantially. The violin shop will offer its expert appraisal, assessing and certifying the value of fine violins and fine violin bows: who made it, how old it is, where it comes from, what condition it is in, and how it sounds. Once its repairs are finished and paid for and the instrument is officially appraised and priced, it can then be placed in the shop’s showroom and/or on their online catalog. The instrument left at the shop will typically be insured by the shop’s insurance policy. If not, it is recommended that consigned instruments be insured, and insurance companies often require a written appraisal to be completed. 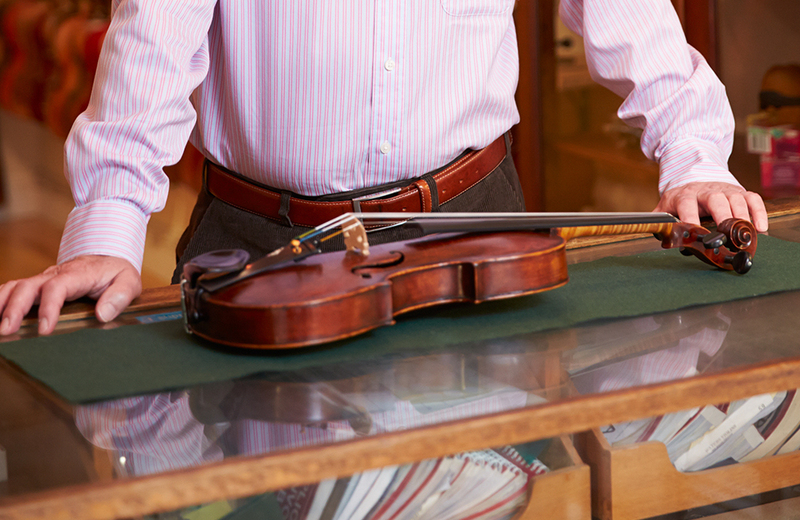 Violin sellers can expect consignment shops to take up to 20% of the instrument’s final sale. Guaranteeing the seller a fixed price means that the violin shop can be flexible in allowing for trade-ins. Violin shops are well networked and can advertise your violin to a broad base of international clientele through magazines and websites. The shop will deal with the communication, transportation and delivery of the purchased instrument to the instrument’s buyer.